Mr. Hari Prasad Pandey, currently working as the Executive Chairman of Himalaya Urja Bikas Company Limited is a well-known Industrialists of Nepal. He has set up many industries, such as: Machhapuchhre Metal and Machinery works (P.) Ltd, Pokhara Foods (P.) Ltd, Everest Engineering Works (P.) Ltd., Pokhara Machine Tools Industries (P.) Ltd., Pokhara Noodles (P.) Ltd, & Ramba General Food Industries (P.) Ltd.
Mr. Pandey is a founder member of Nepal Engineering College, Changunarayan, Bhaktapur, Nepal Medical College, Kathmandu, Hotel Management College and Gandaki Medical College, Pokhara. He is also a founder member of Kaski Finance Ltd, Pokhara. 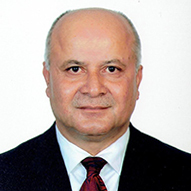 He has wide range of experience in Hydropower Sector. Currently, he is the Executive Chairman of Bhagwati Hydropower Development Company (P.) Ltd. (Vijayapur-I Hydropower Project-4.5 MW), Asian jal Urja (P.) Ltd, Matribhumi Hydropower Company (P.) Ltd., Global Multi Energy Development Company (P.) Ltd., and Executive Director of Machhapuchhre Hydropower development Company (P.) Ltd. He is also a former Director of Task Hydropower Company (P.) Ltd. and a former Executive Chairman of Civil Hydropower Company (P.) Ltd. Mr. Pandey has a long experience of establishing new Industries, grooming them and running them successfully with Professional Management. He has wide range of experience that includes: Mechanical Engineering:, Civil Engineering:, Educational Institutes:, Food Industries:, Hydropower and Financial Institutions. Mr. Pandey has actively involved in philanthropic works, mostly Education and Health sector through his own organization called - “Matrisewa Pratisthan-Nepal”. He worked as a member of Parliament for 2 years in Upper house and as an Industry and Water resources Minister of Nepal Government for six month. He has visited many countries like India, China, Hong Kong, Thailand, Malaysia, Singapore, Canada, USA, North Korea, etc. and has many experience about the overall development of different part of the World. Er. Saroj Kumar Upadhyay is an entrepreneur and one of the founder of Himalaya Urja Bikas Company Limited. He is currently working as a Technical Director of Himalaya Urja Bikas Company Ltd. He has completed M.Sc. in Civil Engineering (Hons.) and holds MBA degree. He is a Project Management Expert, who has over twenty-seven years of professional experience in the development sector through leading International organizations and Private Engineering Companies. He has worked together with Swiss Association for International Cooperation, (Helvetas Nepal) and United Mission to Nepal and Himalaya Urja since its establishment in 2000s. He is an Arbitrator, Technical Auditor, Project Analyst and Certified International Assessor for IMPA Project Excellence Award 2011, 2012, 2013 & 2014. He is a former Vice Chairperson and Member of Nepal Engineering Council, an apex body responsible to regulate Engineering Education and Engineering Practices in Nepal. He worked as a member of High Level Inspection and Monitoring Committee Task Force in the Prime Minister Office and Technical Advisor to the Prime Minister. 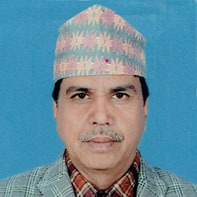 Throughout his entire career, he has engaged himself in policy making in the field of Hydro Power, Transmission Line Development, Infrastructure Development, Technical and Vocational Trainings, Trainings and Employment and strong Project implementation exposure of several infrastructure Projects in Nepal. 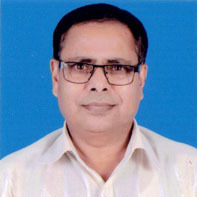 He is a Founding Chairperson of Cemeca Human Resource Academy (P.) Ltd, Chairperson of National College of Engineering (TU Affiliated Bachelors Level Engineering Programme) and Promoter of Nepal National Educational Academy (P.) Ltd and a Founding Director of Asian Jal Urja (P.) Ltd, Matribhumi Hydro Power Development Company (P.) Ltd, Machhapuchre Hydro Power Development Company (P.) Ltd, Global Multi Energy Development Company (P.) Ltd, Himal Energy Consult (P.) Ltd, Founding Director of Himalaya Urja Bikas Company (P.) Ltd that is developing Uppalo Khimti (12 MW) and Upper Khimti – II (7 MW) Hydro Power Project over Khimti Khola in Ramechap/Dolakha District. 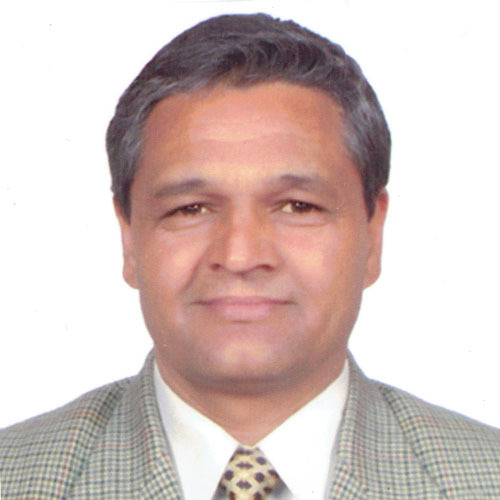 Prof. Dr. Bhim Prasad Neupane, currently working as an administrative Director of Himalaya Urja Bikas Company Ltd. holds Master degree in Economics and Ph.D. degree in Development Economics from Tribhuwan University. Currently, he is a Professor of Economics at the Tribhuwan University and has been teaching Development Economics to Master and Graduate Level Students for 33 years. He is a Vice Chairman of Institute of Policy Research and Development (IPRAD) and former chairperson of SAARC Development Fund. He is also involved in several Banking and Financial Institutions. He is a Founding Chairman of Triveni Development Bank, Founding chairman of Development Banker’s Association Nepal, Chairman of Nepal Industrial Development Corporation and Investor of Janata Bank Nepal Limited. Prof. Dr. Neupane has share investment in several Companies including hydropower sector. He is a Former Director of Ridi Hydro Power Company Limited and Former Advisor of Arun Valley Hydropower Development Company Limited. 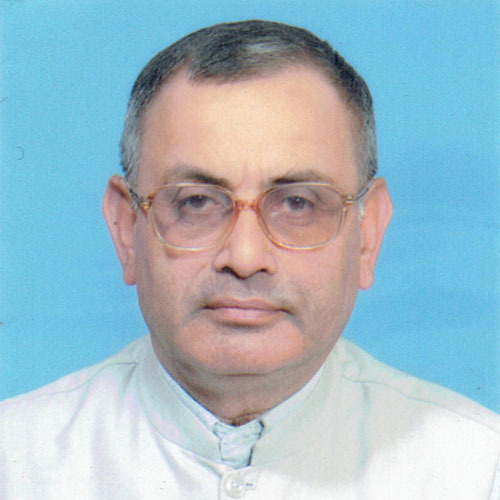 Prof. Dr. Bhim Prasad Neupane has worked as Hon. Member of National Planning Commission and has contributed for the preparation of Three Years Interim Plan. He has worked as a Team Member in Budget Policy and Program Formulation Committee under Ministry of Finance. He has served in several policy level position in Governmental and Public companies. 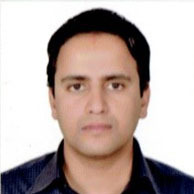 He has worked as a Director of Himal Cement Factory, Tara Gaun Hotel Regency, United Insurance Company. He has written several books, articles, research papers related to Socio-politico-economy as well as Development economics. He is also a chief editor of “The Economic World”, a Journal of Private sector Publications of Nepal. Mr. Pashupati Chaulagain currently working as a Director of Himalaya Urja Bikas Company Limited holds Bachelors in Education (B.Ed.) and Master degree in Arts (M.A.). He is a Sitting Member of Parliament and a member of Constituent Assembly. He was also a member of Parliament from 2056 to 2059. He represents local shares in the Project vicinity. He has share investments in several Companies including hydropower sector. 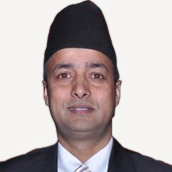 He is a member of Board of Director in United Nepal Publication (P.) Limited, Orient Education Foundation (P.) Limited, Advance Agriculture (P.) Limited, Eastern Star Agriculture co-operative Limited, Sourya Engineering and Trade Company Limited. He is also an investor of Janata Bank Nepal Limited, Kalinchok Development Bank Limited., Manakamana Hydropower Limited, Ridi Hydro Power Development Company Limited, United Nepal Publication, Orient College, etc. Mr. Ramesh Prasad Neupane currently working as a director of Himalaya Urja Bikas Company Limited is a young entrepreneur of Nepal. He holds Master degree in Business Administration(MBA) from Tribhuwvan University, Commerce Campus. Currently, he is involved in several hydropower Companies. He is the Managing Director of Arun Valley Hydropower Development Company Limited. He is a Board of Director of Janata Bank Nepal Limited. He is also a former Senior Finance Manager of Hitachi Plant – Bina Puri Consortium (Hyatt Regency Hotel Project, Kathmandu, Nepal). Mr. Somnath Pathak currently working as a Director of Himalaya Urja Bikas Company Limited is a well-known industrialis from Rupandehi. He has setup many industries in Rupandehi district. He is the Managing Director of Pathak Food Products, Rupandehi. He is the Chairman of Pathak Aluminium System and Metal Works, Rupandehi and the Director of Quality Roto Packaging Private Limited, Bhairahawa. He is also a former Board Member of Rupandehi Industrial Association, Rupandehi. Er. Shree Ram Pandey currently working as a Director of Himalaya Urja Bikas Company Limited is a young entrepreneur of Nepal. He has completed Bachelors in Civil Engineering and holds Master’s degree in Construction Management and Economics. Currently, he is a Managing Director of Pokhara Foods (P.) Limited, Director of Ramba General Food Industries (P.) Limited and Director of Pokhara Noodles (P.) Limited. Mr. Shree Ram Pandey is also involved in several Hydro Power Companies. He has worked as an Engineer in Bhagwati Hydro power Company (P.) Limited and currently he is the Director of Bhagwati Hydro Power Company (P.) Limited. He is also a director of Himalaya Urja Bikas Company Limited and a Director of Kaski Finance Limited.